"Kanye West is uninformed and unqualified to be spearheading political dialogue in 2018." One month before the release of My Beautiful Dark Twisted Fantasy, Kanye West penned an open letter as his cover story for XXL’s October issue. The above quote is eight years old, the aftermath of DEFCON Taylor Swift, but reads as if the words were from his verbose 2018 Twitter account. 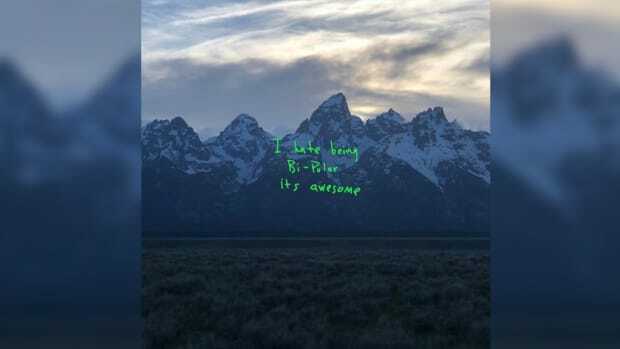 Who Ye believes he has been for the last two weeks can be found between the quotation marks: Selfless Kanye. Expressing truth Kanye. 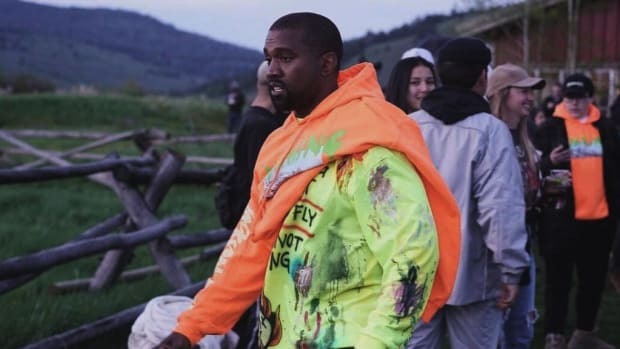 The reality is, Kanye has always been the rash driver running red lights, stop signs, and caution tape on his way to a freethinking seminar. 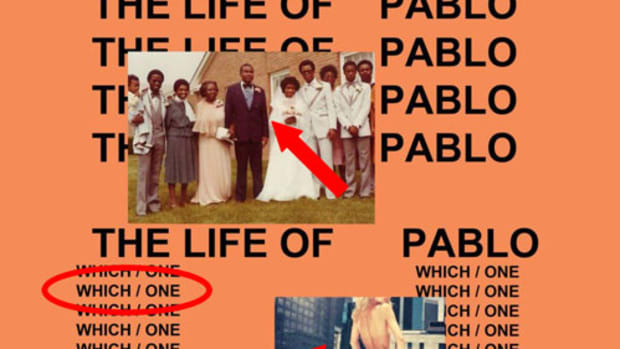 The title perfectly depicts Kanye’s awareness, and for the first time in his career, he’s standing on the other side. “Ye vs. the People” is the political version of Eminem and Dr. Dre’s controversial 1999 single, “Guilty Conscience.” Both records are conversations, two opposing views debating ideas of right and wrong. Kanye’s no devil, but he’s playing the right-wing devil’s advocate while T.I. voices the concerns of the people who are baffled by his political "statements." 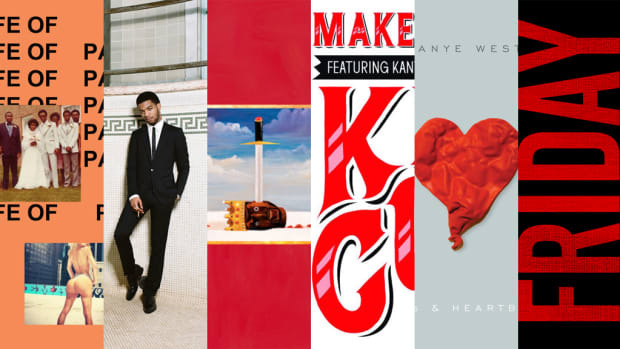 Over a soulful loop, Kanye and T.I.’s back-and-forth regarding Ye’s recent political endorsements is essentially a forum meant to provide context and understanding. Throughout all his tweets and right-wing affirmation, Kanye has yet to educate his fans on the deeper layers to his freethinking. 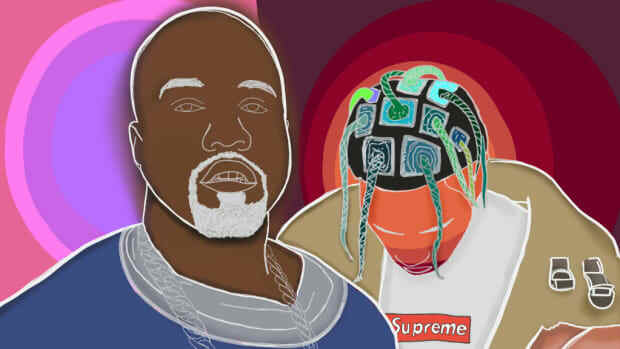 “Ye vs. the People” was his chance to elaborate on the dangerous rhetoric he’s irresponsibly pushing, but instead, the song further proves that his arguments for Trump, MAGA, and infinite love are built on fallacious ideas. “Ain’t going against the grain everything I fought fo&apos;?” Kanye rebuts when T.I. asks, “Don’t this go against the teaching Ye taught?” Going against the populace in any art form can lead to innovation and evolution, but applying a contrarian stance in politics can be unwise. Not once does Kanye mention how siding with Trump is siding with a liar, a racist, or a bigot; nor does he bring to the surface how normalizing Trump is to normalize anti-immigration, anti-transgender acceptance in the military, anti-women, and anti-Muslim agendas. This isn’t a case of Republican vs. Democrat. 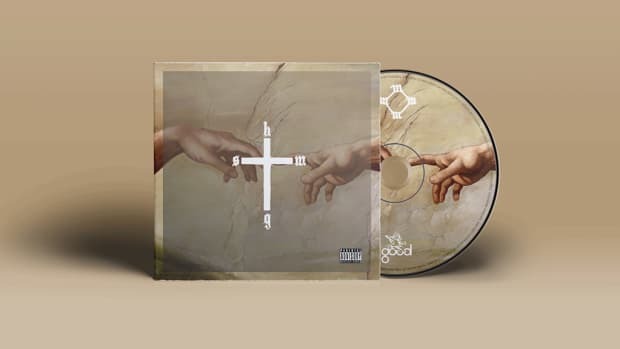 To be hung up on only the political parties and not the political views is no different than reviewing an album based on its title and not its content. 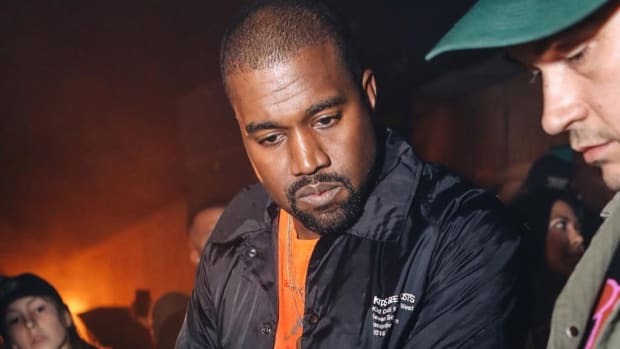 “I feel an obligation to show people new ideas,” Ye says before stating that the purpose of donning a Make America Great Again cap is to add empathy, care, love, and affection to something that (rightly) holds a negative perception. It’s simply flawed thinking to believe you can introduce the idea of love and attach it to a symbol that represents separation, tyranny, nationalism, and white supremacy. There is no critical thought in Kanye&apos;s freethinking. We live in a time where naïvety, no matter how pure, is rewarded only with consequences. The saving grace of “Ye vs. the People” is T.I.’s criticism of Ye’s every point. He doesn’t nail every argument with necessary nuance, but he allows the severity of what Kanye is doing to be spotlighted. T.I.&apos;s verse is a great case study in celebrity; the obligation you have to the people who champion you, and the great responsibility that comes with great influence. Kanye West is uninformed and unqualified to be spearheading political dialogue in 2018. 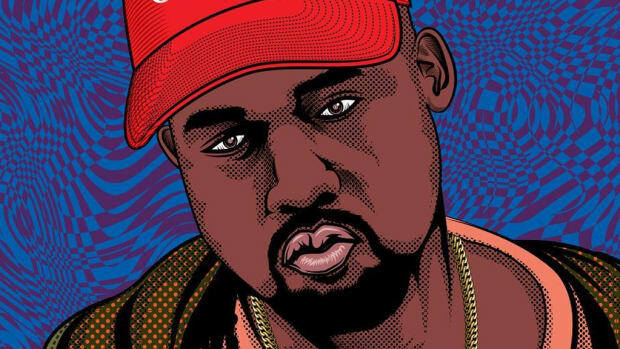 He wants to use hip-hop as a tool for political discourse, but “Ye vs. the People” does nothing but promote how little Kanye knows. The photo of Kanye wearing the MAGA hat reminded me of when Nick Spencer caught backlash for making Captain America in his Captain America: Steve Rogers comic an agent of Hydra. Steve Rogers is a fictional character but hearing him say, "Hail Hydra," affected people. They were hurt to see a symbol of justice, a man of the people, being rewritten to join the very Nazi fascists he swore to stand against. Spencer put his reputation, credibility, and good name on the line for a story about a universe where Steve Rogers is a fascist. Kanye West is no Steve Rogers, but he was something of a captain for Black America. Up until the phone call with Trump after the election, he had maintained a goodwill with black and minority supporters. 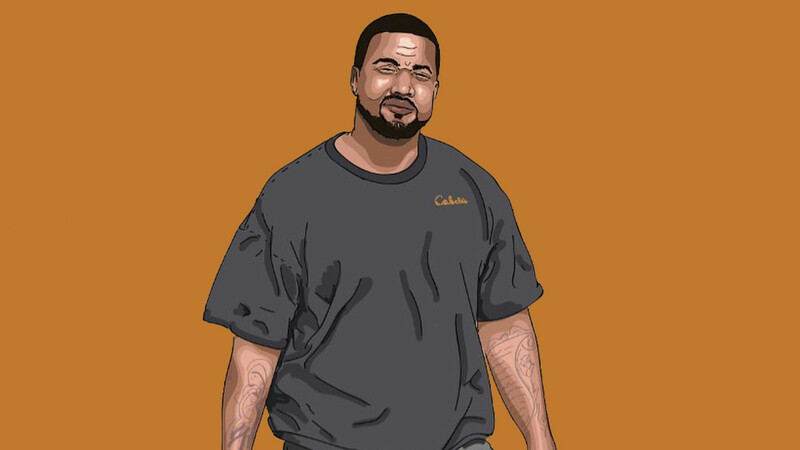 His influence from College Dropout to Yeezus ran deeper than music; he was a symbol of outspoken blackness, unapologetic self-expression, and musical genius. We believed in him because he made us believe in ourselves. Believe that our dreams could come true. But now Ye wants us, his biggest support group, to believe in those who have shown us no empathy, care, love, or affection. No loop is soulful enough to make me see a different light. I don’t know what will happen after this, but I’m watching a man tarnish a legacy that was once indestructible while rapping offbeat. When this is all over, as Kanye runs another red light, I’ll wonder as Kieran Shiach did, was it worth it? Correction: A previous version of this article credited The Atlantic, not Vulture, as the website that published Abraham Riesman&apos;s "First Captain America Became Evil, Then the Comics World Erupted."